DETROIT February 12, 2013 -- Thom Connors, SMG regional vice president and general manager of Cobo Center announced today that major events in Cobo Center continue to draw business to downtown Detroit after NAIAS. 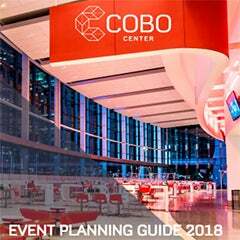 Several first year shows, along with several of Cobo’s annual shows, fill the calendar, including the 55th Annual Detroit Boat Show. The first Motor City Golf & Travel Show offers attendees great deals on golf equipment and innovative items not traditionally found in pro golf shops. Travel destination and golf resorts have exhibits, and courses in golf from PGA and LPGA staff of the Fox Hills Golf Academy will be available. An appearance from Detroit Mayor Dave Bing kicks off the show on Friday, the 15th from 12 – 2 PM. The 55th Annual Detroit Boat Show, held each year in Cobo Center, runs over 9 days. “We are very excited about the upcoming Detroit Boat Show as it is back to two halls at Cobo Center and is bringing in more boats and more fun for our attendees,” said Nicki Polan, executive director of the Michigan Boating Industries Association. The first weekend in March brings the Detroit Kennel Club Dog Show, held annually in Cobo Center. The dog show utilizes 623,000 square feet of exhibit space in Cobo Center, and is one of five juried dog shows annually in the USA. Directly after that, the 61st annual Meguiar’s Autorama, Detroit’s premier custom car show, begins moving in and runs March 8-10. 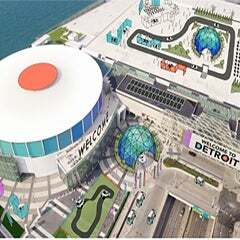 According to Peter A. Toundas, president of Championship Auto Shows, "This year's Autorama promises to be a wonderful showing of the best Detroit has to offer with our celebration of 50 years of the Ridler Award. The Ridler Award is considered to be the top honor in our industry. Let's not forget our Batmobiles and stout celebrity package to boot!" The second annual Detroit Bike City Expo and Swap Meet on March 16 is already making itself a staple public show with only one year under its belt. It has doubled in size, with more exhibits and sponsors, a social media lounge and the MGM Grand as its official hotel. 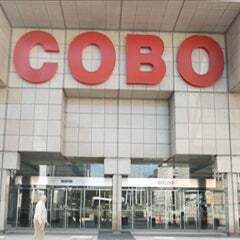 “We are happy to see this comeback, for Cobo Center and Detroit. And we look forward to much more this spring,” said Connors.